When we decided to join Angel Hack’s Hackathon during the Nairobi Tech Week, it wasn’t so much to win, but to be part of the solution that Nairobi needed to be smart. Prior to the event, we had been affected by the floods that occured in Nairobi every time there was a downpour. In fact, the previous day, one of our classmates had to go back home, having covered half the journey to school after the vehicle he was in stalled. This got us to think of a solution to help solve the flooding menace in Nairobi, and ReportTaka was created. Together with two other winning teams, Naimotion and FixMtaa, team ReportTaka got a chance to compete in Twitter’s #SmartCityNairobi Challenge. On 3rd June 2016, ReportTaka was again crowned the winner of the #SmartCityNairobi Challenge taking home a $10000 cheque to actualize their project. The team is made up of five friends who are also classmates, studying MSc. Mobile Telecommunications and Innovation at @iLabAfrica’s Safaricom Academy and they include Peter Gikera, James Ngugi, Bettirose Ngugi, Racheal Gathagu and Kizi Dimira. ReportTaka is currently working on building partnerships with players in the garbage industry while refining their product. Being Metta Nairobi members, an initiative by Nest, they are able to meet other entrepreneurs who help mentor and give us feedback. In October 2016, they hope to travel to Silicon Valley for the final event of HACKcellerator program. They are raising funds to help them cater for travel and accommodation costs since only one of their team members has been sponsored. Follow us on Instagram , Twitter and Facebook. This entry was posted in @iLabAfrica, Uncategorized and tagged #SmartCityChallenge, @iLabAfrica, Competition, Innovation, Masters in Mobile Telecommunication and Innovation, Report Taka, Silicon Savanna, Strathmore University. What is the Idea Foundation Seed Stage Program? The Idea Foundation Seed Stage Accelerator Program is a platform to develop and grow innovative business ideas through training, mentorship and coaching and financial support. The program is implemented by @iBizAfrica in Collaboration with IDEA Foundation. There are two intakes in a year, in April and August. The program targets innovators and leaders seeking to solve problems that affect the society in Kenya through innovation and entrepreneurship. The program is open to qualifying students and alumni of Strathmore University. We target teams comprised of individuals with competent skill sets to make the business a success. The team should include at least a visionary (CEO), Business Lead (CFO), Marketing Lead and Technical (CTO) Lead. The program is is a great platform to accelerate the development, growth and success of startup business ideas. In the past Through this program @iBIzAfrica and IDEA Foundation have help many companies to develop, grow and succeed. These include: Purpink Gifts, Valuraha Group and Buymore LTD. Develop and sharpen business skills. Receive mentorship and coaching from successful entrepreneurs and experts. Upon Successful completion, receive a certificate of completion and an opportunity to receive seed funding of upto KES. 500,000. The funding is a low interest rate . (subsidized and below market rate) repayable upon the business becoming successful or convertible to a grant. We do not take equity. Register here to be considered for the Program! This entry was posted in @iBizAfrica, @iLabAfrica, contest and tagged @iBizAfrica, @iLabAfrica, Businesses, Idea Foundation, Innovation, Seed Stage Program. 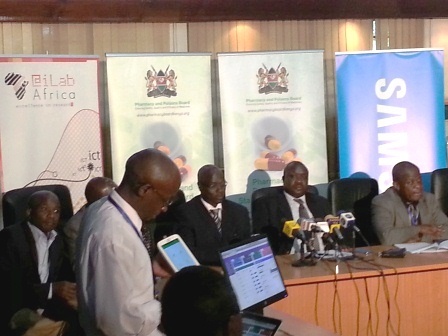 @iLabAfrica and Samsung launched the Pharmacy and Poisons Board (PPB) app on the 28th of April 2014. The app was launched at Kenya Pharmacy and Poisons Board offices on Lenana Road in a press conference. The PPB app comes bundled with rich features that will safeguard Kenyan’s from counterfeit drugs as well as provide access to other vital information regarding drugs, pharmacists and other pharmaceutical professionals. Access a database of all registered human and veterinary drugs and other drug information such as prescription, reaction and dosage. Report suspected poor quality/counterfeit medicinal products. One can also report a suspected adverse drug reaction. Search for chemists and pharmacies within a certain radius. Plot the map and directions, also displays the official contacts. The application also enables you to provide feedback and contact the Kenya Pharmacy and Poisons Board. It is currently available for Android on the Kenya Pharmacy and Poisons Board website. It will be coming soon on the Samsung App Store. PPB app is a shot in the arm as the Kenya PPB continues to fight rising cases of counterfeit and substandard drugs in the country. This entry was posted in Samsung Partnership and tagged @iLabAfrica, Apps, Innovation, Kenya Pharmacy and Poisons Board, PPB App, Samsung. Free incubation at the ultramodern @iBizAfrica business incubator- here you get access to office space, Internet, mentoring and coaching, legal advice, access to funding and more! Apply Now for a chance to be selected and win the GE Healthcare challenge! Read more about the GE Healthcare challenge here. 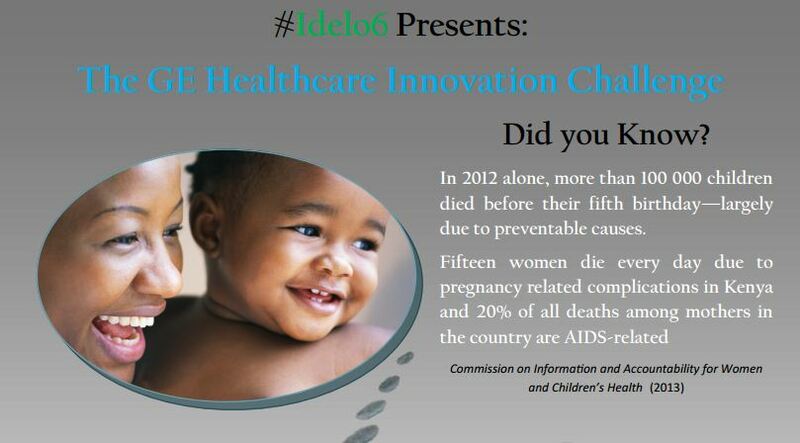 This entry was posted in @iBizAfrica, Featured and tagged @iBizAfrica, Child Mortality, FOSSFA, GE, Healthcare, Idlelo6, Innovation, Maternal Health.